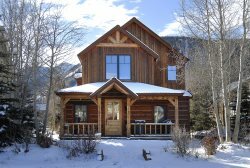 Alpine Getaways offers a caretaking service that is focused on helping those with a second home in Crested Butte by easing the burden of maintaining and taking care of the property. Perhaps you prefer not to rent your Crested Butte home, or the property is for sale and you'd like to keep it in showroom condition for potential buyers. At Alpine Getaways, we have experienced caretakers who will do this maintenance for you. Depending on your needs, we'll check up on your home as often as you'd like and make sure everything is turn-key for you upon your arrival, or in the best possible condition for those who wish to view your home. You've made the commitment to have that special place in Crested Butte, now you deserve to enjoy every minute of it! Contact Alpine Getaways today for more information.